Scandal-hit Australia deputy PM to resign – Royal Times of Nigeria. The 50-year-old had insisted he would ride out the storm but his position became untenable .He also vigorously denied a sexual harassment complaint that was made against him by another woman. 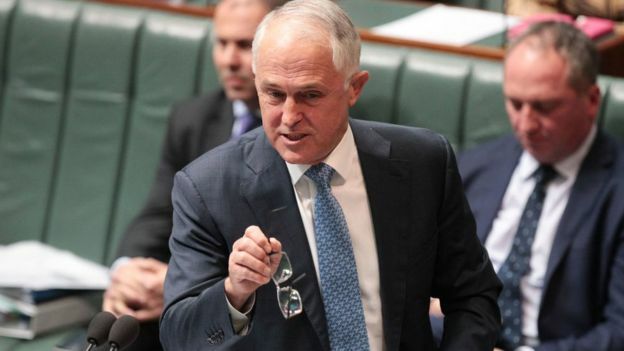 Prime Minister Malcolm Turnbull has however thanked Joyce for being “a fierce advocate for rural and regional Australia”, while insisting the Nationals-Liberal coalition was “undiminished” by the scandal. But Labor opposition leader Bill Shorten called it “fundamentally damaged” and accused Turnbull of “an atrocious lack of judgement”.